On 2 July 1698, English inventor Thomas Savery patented an early steam engine, for raising of water, mill work, draining mines, serving towns with water, and for the working of all sorts of mills which don’t have water or constant winds. He demonstrated it to the Royal Society on 14 June 1699. The patent has no illustrations or even description, but in 1702 Savery described the machine in his book The Miner’s Friend; or, An Engine to Raise Water by Fire, in which he claimed that it could pump water out of mines. Savery’s engine had no piston, and no moving parts except from the taps. It was operated by first raising steam in the boiler; the steam was then admitted to the working vessel, allowing it to blow out through a downpipe into the water that was to be raised. When the system was hot and therefore full of steam the tap between the boiler and the working vessel was shut, and if necessary the outside of the vessel was cooled. This made the steam inside it condense, creating a partial vacuum, and atmospheric pressure pushed water up the downpipe until the vessel was full. After his 1927 divorce from Hadley Richardson, Hemingway married Pauline Pfeiffer. They divorced after he returned from the Spanish Civil War where he had acted as a journalist, and after which he wrote For Whom the Bell Tolls. Martha Gellhorn became his third wife in 1940. They separated when he met Mary Welsh in London during World War II; during which he was present at the Normandy Landings and liberation of Paris.Shortly after the publication of The Old Man and the Sea in 1952, Hemingway went on safari to Africa, where he was almost killed in two successive plane crashes that left him in pain or ill-health for much of the rest of his life. Hemingway had permanent residences in Key West, Florida, and Cuba during the 1930s and 1940s, but in 1959 he moved from Cuba to Ketchum, Idaho, where sadly he committed suicide on July 2, 1961. 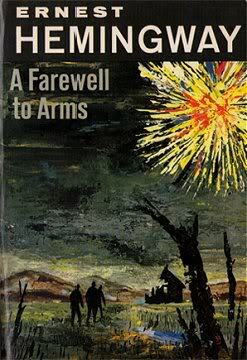 However A farewell to Arms remains a popular novel and ‘The scrapbooks his Mother created are part of the collection that Hemingway’s widow, Mary, gifted to the JFK Library and Museum after the author’s 1961 suicide. Johnny Colla, American musician with the band Huey Lewis and the News was born 2 July 1952 and lead singer Huey Lewis himself, was born 5th Juy 1950. Based in San Francisco, California. Huey Lewis and the News had a run of hit singles during the 1980s and early 1990s, eventually scoring a total of 19 top-ten singles across the Billboard Hot 100, Adult Contemporary and Mainstream Rock charts. Their greatest success was in the 1980s with the number-one album, Sports, coupled with a series of highly successful MTV videos. Their worldwide fame expanded when the song “The Power of Love” was featured as a key track in the film Back to the Future, became a number-one hit, and nominated for an Academy Award. The News combined a rock (and sometimes, a “blues-rock”) backing with soul and doo-wop-influenced harmony vocals and Lewis’ voice.In 1972, singer/harmonica player Huey Lewis and keyboardist Sean Hopper joined the Bay Area jazz-funk band Clover. Clover recorded several albums in the 1970s, and in the middle of the decade transplanted themselves to England to become part of the UK pub rock scene for a time. Without Lewis (but with Hopper), they eventually became the original backing band for Elvis Costello’s first album My Aim Is True. Lewis also worked with Irish band Thin Lizzy, contributing harmonica to the song “Baby Drives Me Crazy,” recorded onstage for the Live and Dangerous album. Lizzy bassist/vocalist Phil Lynott introduces Lewis by name during the song. The band returned to the Bay Area by the end of the 1970s.Clover’s main competition in the Bay Area jazz-funk scene was a band called Soundhole, whose members included drummer Bill Gibson, saxophonist/guitarist Johnny Colla, and bassist Mario Cipollina (younger brother of John Cipollina). Like Clover, Soundhole had spent time backing a famous singer, Van Morrison. After getting a singles contract from Phonogram Records in 1978, Huey Lewis united his former bandmate and three of his former rivals to form a new group, Huey Lewis & The American Express. In 1979 they recorded and released a single, “Exo-Disco” (a disco version of the theme from the film Exodus), In 1979, theguitarist Chris Hayes joined. 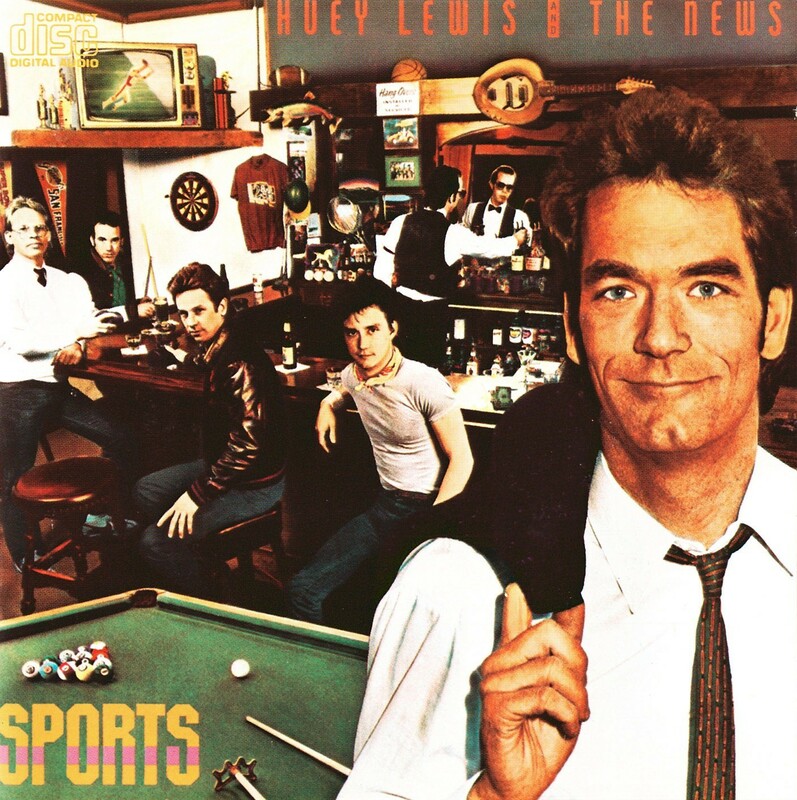 in January 1980 they changed their name to Huey Lewis and the News and issued their first studio album, a self-titled LP, Huey Lewis and the News.In 1982, the band released their second studio album, the self-produced Picture This. The album turned gold, fueled by the breakout success of the hit single “Do You Believe in Love” The follow-up singles from Picture This, “Hope You Love Me Like You Say You Do” and “Workin’ for a Livin’. their third studio album, Sports, contained the songs “Heart and Soul”,“I Want a New Drug,” “The Heart of Rock & Roll,” and “If This Is It”. Their next song “The Power of Love” featured in the 1985 film Back to the Future, and was nominated for an Academy Award. Following the success of “The Power of Love” and Back to the Future, Huey Lewis and the News released their fourth studio album, Fore! in 1986. Fore! followed the success of Sports and reached number-one on the Billboard 200. The album spawned the number-one singles, “Stuck with You” and “Jacob’s Ladder” as well as the mainstream rock hit “Hip to Be Square”. In all, the album was certified triple platinum. The band continued to tour throughout 1987, and released Small World in 1988. Which was not quite as successful and was more jazz and less rock than their previous albums, had one top ten single, “Perfect World. ”In 1991, they released Hard at Play, which went back to the R&B/rock sound of their earlier albums, and released the hit singles, “Couple Days Off” and “It Hit Me Like a Hammer”. The album was certified Gold the bands also released a cover album in 1994 called Four Chords & Several Years Ago featuring doo-wop and rock songs from the 1950s and 1960s. In early 1997, the band released their first greatest hits album, Time Flies, which focused primarily on the releases from Picture This, Sports, and Fore!, and included four new tracks. In 2001 Huey Lewis and the News released the abum Plan B, which featured the single, “Let Her Go & Start Over”The band continues to tour regularly, playing around 70 dates a year. In December 2004, Huey Lewis and the News recorded the live album, Live at 25, at the Sierra Nevada Brewing Company in Chico, California, which celebrated their 25th anniversary as a band. In the summer of 2006, the band co-headlined a U.S. tour with Chicago. Highlights of the tour included Chicago’s Bill Champlin playing with the band, and members of Huey Lewis and the News playing on Chicago’s percussion-laden hit “I’m a Man”. Huey Lewis also sang the lead on Chicago’s “Colour My World”. On August 21, 2007, the band played a show at the California State Fair and were joined on stage by Cipollina during a four-song encore, his first on-stage performance with the group in over 10 years. Huey Lewis and the News performed at the 28th annual presentation of A Capitol Fourth in Washington, D.C. the latest Huey Lewis Album is entitled Soulsville. Debbie Harry American singer with the band Blondie was born 1st July 1945. founded by singer Deborah Harry and guitarist Chris Stein, Blondie were pioneers in the early American New Wave and punk scenes of the mid-1970s. Their first two albums contained strong elements of these genres, and although successful in the United Kingdom and Australia, Blondie was regarded as an underground band in the United States until the release of Parallel Lines in 1978. Over the next three years, the band achieved several hit singles including “Call Me“, “Atomic” and Heart of Glass and became noted for its eclectic mix of musical styles incorporating elements of disco, pop, rap, and reggae, while retaining a basic style as a New Wave band.